A Maine teenager died days after his wisdom teeth were removed in surgery that rarely leads to fatal complications, CBS Hartford reports. Benjamin Edward LaMontagne had his impacted wisdom teeth taken out on Feb. 19. The 18-year-old had typical post-operative pain and swelling, but within 48 hours of the surgery, his condition deteriorated and he died in his mother's arms, the station said. His parents, Peter and Lynn LaMontagne of Long Island, Maine, said that rescue workers tried to revive him but could not. "If anybody could say they had a complete life after 18 short years, it was Benjamin, which makes it all the more painful to have him taken from us so soon," his father told The Portland Press Herald. His parents believe that his death was a result of complications of the surgery, according to the station. An autopsy is being conducted. 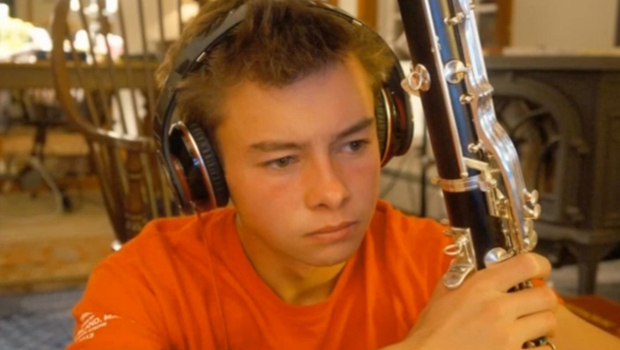 The high school senior was a serious musician, who was planning to attend Gettysburg College in Pennsylvania the fall to study bass clarinet, The Press Herald reported. He played the bass clarinet, the trumpet, the bassoon, the saxophone and the English concertina. A dental professor told the newspaper that death from complications of oral surgery is so rare that its frequency cannot be accurately estimated. "The best part about him was that he did his own thing, he went his own way," Christian Cilley, 18 and LaMontagne's closest friend, told the Press Herald. "You could either jump on the train or watch it fly by."